Natural stone, especially granite and marble, has been the top-selling countertop material for more than a decade now, and while prices for the most popular colors and styles have gone down, it’s still one of the most expensive materials to purchase and install. Natural stone fabricators are stocking up their slab inventory with popular natural stone choices. So, what is it about granite, marble, and the other natural stones that have Americans lining up to open their checkbooks? Natural stone is a relatively new countertop material, as recently as 1987 it was only available in two colors and exorbitantly expensive. However, in less than a decade, it has become the standard. One reason for its startling rise is the housing market. Homeowners were (and in some cases still are) convinced that granite countertops were a critical selling point and rushed to get them. Another influencing factor and a more subjective one is the compelling and frequently amazing look of a granite countertop. It’s an immediate, beautiful, focal point that instills a feeling of luxury in even the most modest home. Additionally, when properly cared for, granite and marble countertops can last a lifetime. The purchase price of natural stone depends on several factors, including the production process, the stones features, and its availability. Quarrying is the first step of the natural stone production process and basically involves extracting the stone from a mountain or pit, at locations that are often remote and difficult to access. Additionally, it’s not uncommon for infrastructure, such as roads, to be built primarily for the purpose of transporting the natural stone. This has a profound effect on the final cost of the granite or marble slab for the consumer. The properties of a granite or marble can also influence its price. The harder the natural stone, the more time and energy. Cutting it consumes sometimes days to cut one block. This all comes at a cost. Finally, like any product or service supply and demand also play a role in determining the final cost of granite and marble countertops. The deposits of certain natural stones can be minimal, allowing for only small to be extracted while the cost of opening the quarry and outfitting it with the necessary machinery remains the same. For companies to see a profit, these natural stones are sold at a much higher price than mass-produced marble and granite. Because of its weight and primarily architectural use, for many years, granite was a local business. 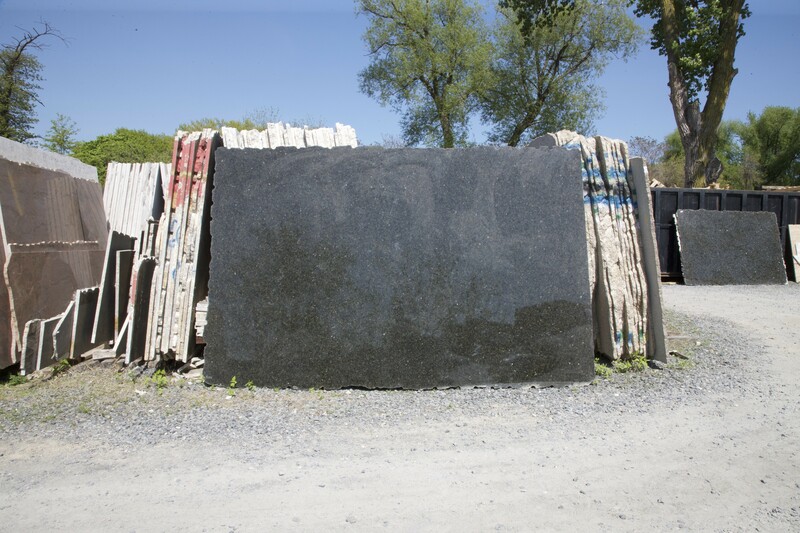 Residents in the Northeast would get granite from Vermont, the Midwest states from either Minnesota or Canada. However, granite is found around the world, and it’s much less expensive to quarry it in countries like Brazil and India, even considering the shipping costs. Another factor that influencing transportation cost is the uniformity of natural stone used for countertops. Today, natural stone is available in practically any shade and texture under the sun and has become the definition of high-end luxurious kitchens. According to real estate experts, many homebuyers expect to see granite or marble countertops in the kitchens they see, and if the home is considered to be in the “luxury” market, it’s often a requirement, and not just in the kitchen, but in the bathrooms as vanity tops and shower stalls, outside around the pool, or as an entryway floor. Because of its timeless beauty, however, it’s also just as popular in homes that aren’t on the market because of these same factors. So, why are so many people not only willing but also anxious, to pay top price for natural stone countertops? 1) A perceived increase in home equity. 2) Its durability, which makes it practically indestructible. 3) Its uniqueness, every slab of granite and marble has its own color and pattern profile. 4) Its appearance, subjective or not granite and marble countertops are unsurpassed in natural beauty.